Size: approx. 15 mm. Photo: 09/03/11, 7 pm. 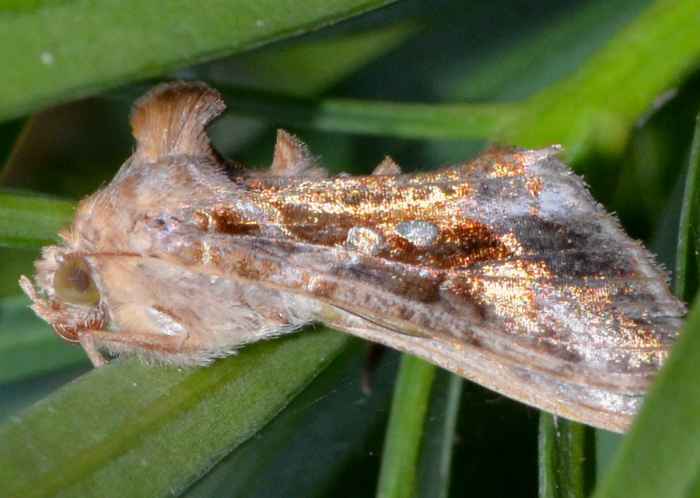 I am not sure about this identification but I believe it's a Soybean Looper Moth (Chrysodeixis includens). The genus (formerly Pseudoplusia) has seemingly only one species in our area. Its caterpillar is green with white stripes and feeds on a wide range of plants. 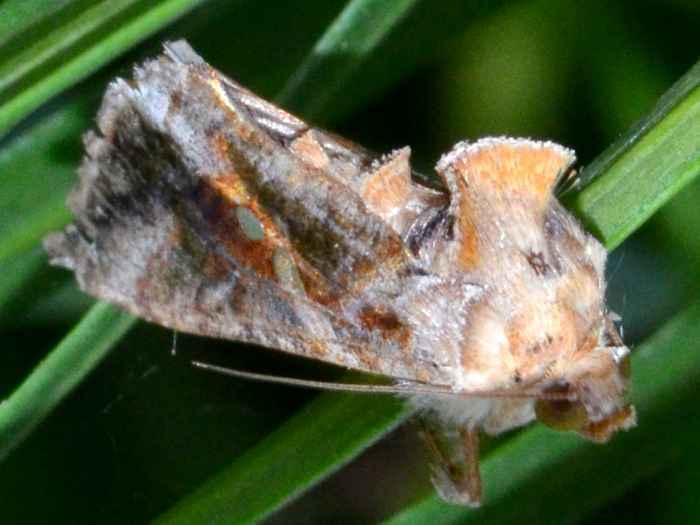 The larvae can become a pest on crops.